WC Tank revives Stumblesome project, releases "workout record"
As it turns out, that initial list was just the tip of the iceberg. Adding to the breweries, bowling alleys, record stores, and urban caves we’d mentioned before, there are even more unique spots to catch a show in Milwaukee and its surrounding suburbs. Here are a few more of them. We’ve written about Enlightened Brewing Company a few times, but it’s always been in regard to the small-yet-awesome Bay View microbrewery’s beer. One thing we’d neglected to note was that Enlightened’s cozy taproom occasionally hosts concerts, too. For example, Jesse Walker’s Hitch will play some tunes there Thursday night. If you’re seeking an unconventional place to catch a band on Milwaukee’s East Side, you should “SAY IT WITH ME.” The Exclusive Company. The Farwell Avenue location always holds a day-long show on Record Store Day (and this year is no different), but they also occasionally offer opportunities to catch in-store performances from local and touring acts. In fact, Exclusive Company will be the site of an album release in-store outing by Rose Of The West this Friday. You probably know G. Groppi Food Market as a small specialty Bay View grocer. You possibly also know it for its nice patio, as a place to get a drink, and as a spot where you can pick up a butter lamb. What you might not know is that Groppi’s also is an unexpected site to see singer-songwriters do their thing near the store’s bar from time to time (usually Friday evenings). Pick up some household essentials, then stay for drink and some live music. In the summer of 2016, we went to a suburban Hardee’s to see local Elvis impersonator and tribute artist Alan Graveen entertain an audience of gearheads at a so-called “Classic Car Show.” No, that strange (but fun) experience wasn’t just a one-time occurrence. Graveen makes it out to the Hardee’s lots in St. Francis and Delafield a few times every summer. 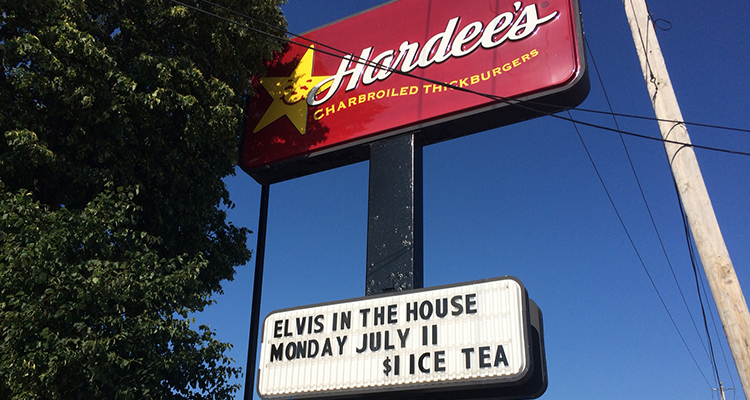 The St. Francis burger joint’s next Strictly Elvis Show is scheduled to happen July 15. Hawthorne Coffee Roasters is a bastion of excellent coffee on the South Side. Even better, the business also opens itself up to awesome collaborations like the Donut Monster pop-up, Waffle Sundays, Foxfire, and—as of a few weeks ago—comedy shows. Yes, Milwaukee Comedy’s new “Deep Space” stand-up showcase debuted in the coffee shop last month. By all accounts, it went over very well. So expect to see even more events at Hawthorne very soon. Roughly five years ago, we told you the story of Inspiration Studios. The former West Allis funeral home has found new life as a theatre and a site for shows. Outside of community plays, Inspiration has displayed work from local artists and has hosted concerts for the likes of Christopher Porterfield, Old Earth, and more. We might be partial, but we’re big fans of the shows at Kindred On KK. Every week, the new Bay View microhotel features music from a different solo act performing in our “Tuesday Tunes” concert series. All shows are free, oysters are $2, old fashioneds are $5, and the bar’s stools are exceptionally comfortable. In 2016, Milwaukee Public Library told kids to forget using their inside voices for a few hours when they welcomed New Age Narcissism to their Central Library location for the first “Library Loud Days” event. Since that encouraging outset, MPL has hosted a haunted house, a birthday party for Browser (its lion mascot), and an all-ages installment of Mondo Lucha. Though it’ll be tough to top a lucha libre wrestling match in the Central Library, there’s sure to be something fun (and loud) on the way this year. Make sure to keep checking to see what’s happening. Even though it’s still very young, NŌ Studios has already shown itself to be a boon to Milwaukee’s creative community with a wide range of artist-focused events. In its brief history, NŌ Studios has hosted film screenings, author events, panel discussions, artist functions, and even a few concerts. WebsterX played a sold-out show there in December. This Thursday, Zed Knezo will officially welcome her long-awaited new EP into the world at a NŌ Studios listening party. We can’t say we’ve ever been there (we know, we know! The fish fry is apparently legendary! ), but we couldn’t help but notice The Packing House also routinely has musicians perform. Check out who’s playing the supper club soon. While you wouldn’t expect a small, plucky neighborhood radio station to host live events, in the case of Riverwest Radio, you’d be wrong. The last Saturday of every month, the studio takes the form of a quaint comedy club when “Live On Air” takes over the airwaves and brings stand-up to the station. Join A.J. Grill, Carter Deems, and a variety of other local comics either on your radio or in person. Since opening on the outskirts of Milwaukee (just a stone’s throw from Wauwatosa) last year, Vennture has quickly made a name for itself with a winning blend of coffee, beer, and community. Along the way, they’ve also opened their stylish taproom to other events, including board game nights, knitting events, food pop-ups, and even a few concerts for good measure. Yes, every now and then, Vennture hosts musicians during its “Turn The Lights Down Low” music series. The last installment was March 10, when Andrew Trim 3 stopped by the brewery. Velobahn has rapidly endeared itself to Milwaukee’s bike community and its Silver City neighbors. The cafe doubles as a spot to get your bike tuned up, and it plays host to parties and one-off events as well. Some of those events happen to be concerts, including semi-frequent performances by Two Tones and other area acts. Stop in for a coffee sometime and stay for a show. Most of the time, Vino 100 exists and a swanky wine bar. However, the Third Ward establishment apparently has a good sense of humor, as they let Milwaukee comedians host semi-regular stand-up showcases. The most recent installment was March 22, and it featured some of the city’s finest funny people, as well as talent from Chicago on the bill. Westallion Brewing is known for inventive brews like its Candy Corn Ale and Egg Nog beer, as well as its efforts to improve its community. 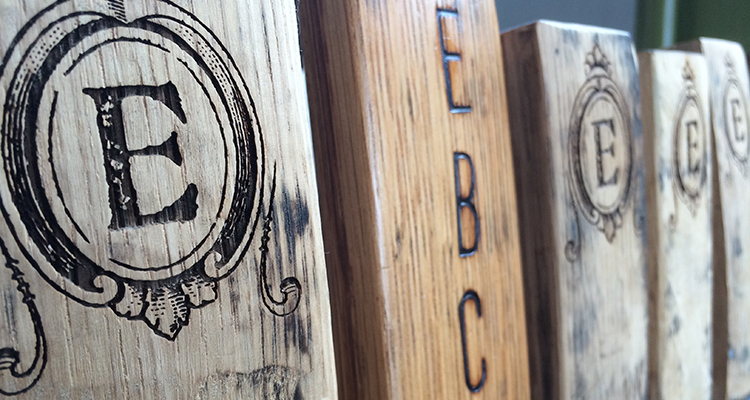 However, as the brewery prepares to celebrate its second anniversary, the taproom has also started dipping its toes into the unfamiliar waters of hosting concerts. They’ve recently hosted some original acts, but this Saturday, Westallion will offer entertainment in the form of Elvis, Neil Diamond, and Johnny Cash tribute acts.